I covered Tempest [Steam, Official Site] a couple times in the past, with the developer saying last year it would come to Linux. This open-world pirate RPG is now here with a Beta. The developer confirmed it would come "soon" in March of last year, so it took them a while, but they're making good on that now. 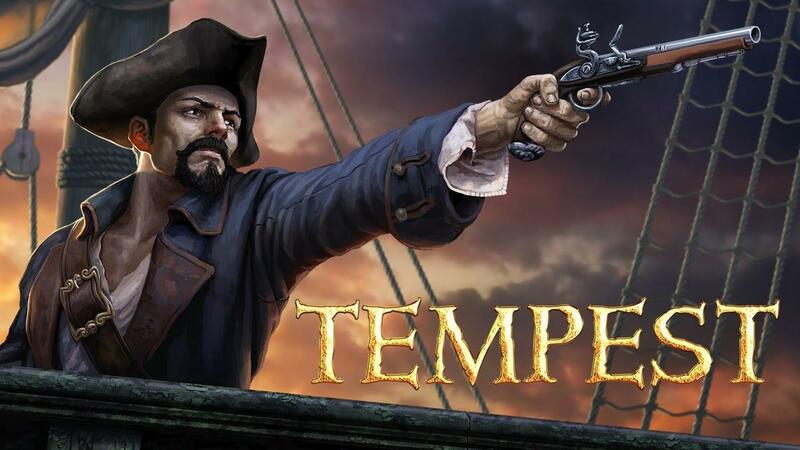 We are glad to announce that we are working on a version of Tempest for Linux OS users. We offer you an opportunity to take a look at the beta version and share your opinion about it by leaving your comments on this post. All you need to do is to go to the game properties in your library, select iptesting_linux_users in the beta version and enter the password tempestlinux. I've reached out to the developer now to see if we can get a key to help test and eventually review. So hopefully I will have some thoughts and a video up on it at a later date, certainly looks like it could be worth some attention. For thanks for the tip meckanicks, I totally missed this one! I had really given up on title actually, seems that for once the whole "better late than never", might be coming true. I used to love "Pirates!" back in the day and I adored the improved "Pirates! Gold" as well, the pirate-themed "Risen 2 Dark Waters" was another title I also became very fond of. So, I´ll pick this one up as well. Although, I´ll wait until it´s more or less officially released on linux. I own this game. I'll fire it up when I get home tonight and report back. Ouh... nice to see so some progress here. I didn't expect this game still coming to Linux anymore, as it was pretty quiet about this one. And like many other devs falling into silence, it wouldn't have been so unlikely to happen. For now beta branch not working. From what I know it works only one day and after another patch, they broke sometings and beta branch dont want download linux depots. DamonLinuxPL For now beta branch not working. From what I know it works only one day and after another patch, they broke sometings and beta branch dont want download linux depots. Same issue here. Invalid access. I'm excited about this, but I'll wait until they've ironed out the kinks. Once I know it's working and stable, I'm in, as this type of game is definitely my jam. Very nice! I've been eager to play some more pirate sim games after getting my hands on Man O'War Corsair a while back. Been loving the heck out of that, so hopefully this will be just as good. Seems like an interesting game. A bit skeptical since I see reviews mention bugs on steam. May pick it up once it's done.